Happy St. Patrick’s day, geo friends! 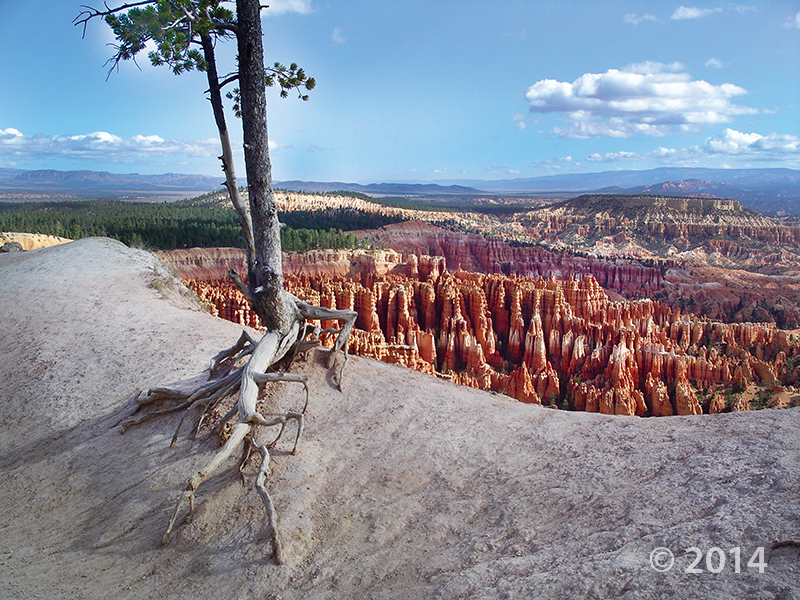 Even the red rocks of Bryce Canyon can boast a little green. Bryce Canyon National Park owes its existence to high rates of erosion by the Paria River and its tributaries, in combination with the alternating resistant and soft, jointed and fractured layers of the Tertiary-age Claron Formation. The park is adorned with a fantastic variety of hoodoos and sculpted fins eroded into the rapidly retreating Paunsaugunt Plateau escarpment.